Feature: Our professional approach is to eliminate shell, stone, root, grasses and other abrasives. Danielle sponges offer a smooth and natural cleansing experience within a positive bath environment. 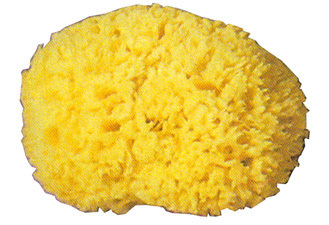 Our natural sponges are easy to maintain for sustained long life and usage. Usage: Our medium large natural bath sponge is smooth and cloud kissing soft for years of bathing bliss. The ability to enjoy a lathered bath or shower experience is limited to the vehicle used. Danielle bath sponges are long lasting, smooth and possess rich lathering ability leading to the most positive cleansing experience. This is the quality you want to receive as a gift. It is the quality of friendship to reflect the quality of a gift. Personal gifting selection is easy when you care. Give a Danielle premium bath sponge.